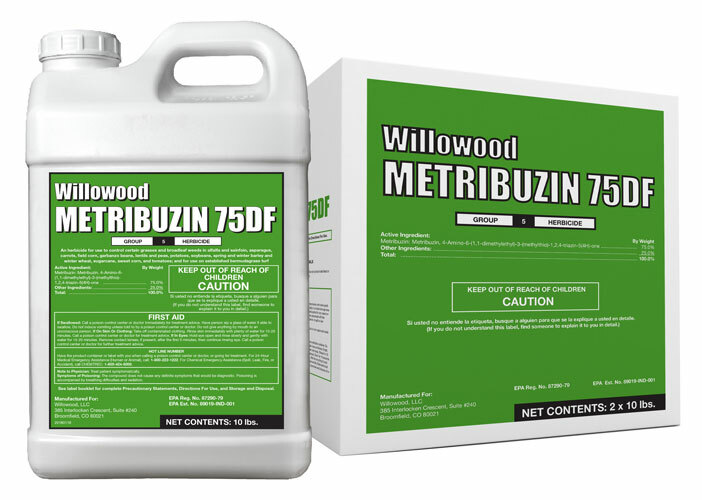 Willowood Metribuzin 75DF is a pre and postemergence herbicide used to control grasses and broadleaf weeds in a variety of crops including but not limited to: soybeans, potatoes, alfalfa, field corn, peas, tomatoes and cereals. For specific use instructions refer to Willowood Metribuzin 75DF product label. 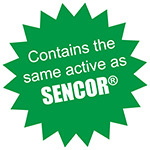 SENCOR® is a registered trademark of BayerCropScience.